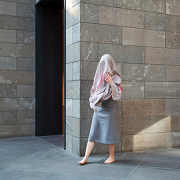 Jarvis Dooney is pleased to present the work of Clare Rae (NGV, 2013), Lin Wei (N.A. 2014), Mira Loew (Positionings 2012/2013), and Nina Ross (Pregnancy, 2014 & Origins of Turn Taking, 2015); in the group exhibition Spatial Awareness. Spatial Awareness can be defined as the understanding of the self and of the relationships between objects within a given space. The four artists in this group exhibition manipulate this phenomenon of both visual and mental perception, through a combination of performance, sculpture & photographic documentation. If a performance or time based work is to be seen by an audience who are not present, some form of documentation is necessary; typically this will be photographic or video based. Each of the artists utilises the camera as an active participant and collaborator in their process, rather than as a silent observer recording their movements. In this way they retain complete control of their final image, which they often create alone and are not reliant on a third party interpretation. Within their work these four women take on the role of both director and subject, allowing them to subvert the generally accepted perception of the body in space; subtly challenging our expectations of how we observe one another and interact with our surroundings. Clare Rae (b. 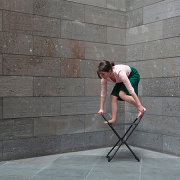 1981 Melbourne, Australia) engages photography, stop motion animation and performance to navigate and defy the limitations of the everyday environments she inhabits. Her works explore tension, portraying situations that offer alternative spatial and psychological interactions between the artist and the possibilities that are held in her surrounds. works held in the collections of the National Gallery of Victoria, Artbank, RMIT University and Monash University. Clare is a recent recipient of an Australia Council Development grant for a forthcoming international residency and research project in 2017. Lin Wei (b.1991 Sydney, Australia) works with bodies as the subject and with camera perspective to challenge the perception of the known body. 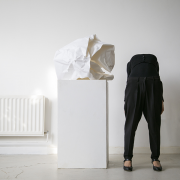 The uncanny through the mystified body is a recurring theme within her work and is achieved through contorted body poses without photographic manipulation. Following the completion of her Honours for BDes. 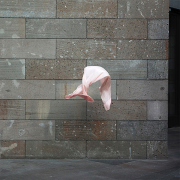 Photography and Situated Media at University of Technology, Sydney (2014), Lin Wei’s Body Form #5 was selected to launch the Australian Centre for Photography’s Emerging Artist Program in January 2015. Mira Loew (b. 1984 Vienna, Austria) is a London based artist and photographer whos work predominantly explores the human body, focusing on the correlations between performance and the photographic medium. Mira studied Fashion Photography at London College of Fashion (2009) and her MA in Image and Communication at Goldsmiths, University of London (2011). 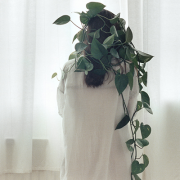 Her films have been screened at fashion and visual arts festivals across Europe, and her photographic work has been featured in exhibitions across Europe, Asia, Mexico & the USA. Nina Ross (b. 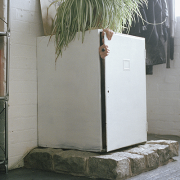 1982 Melbourne, Australia) is an artist who works predominantly with video, performance and photography. With a strong research lead practice, Nina’s current work explores the language acquisition process and its repercussions on a sense of self. Master’s Thesis Excellence Award. Previous to this, Nina obtained a BA (Fine Art Photography) Honours in 2006 and a BA (Media Arts) in 2004 from RMIT University.